Funeral Services for Holly, Colorado resident, Roberta Willhite will be held at 10:00 a.m. on Thursday, April 4, 2019 at the First Baptist Church in Holly, Colorado with Pastor Steve Kinsey officiating. Interment will follow in the Holly Cemetery. 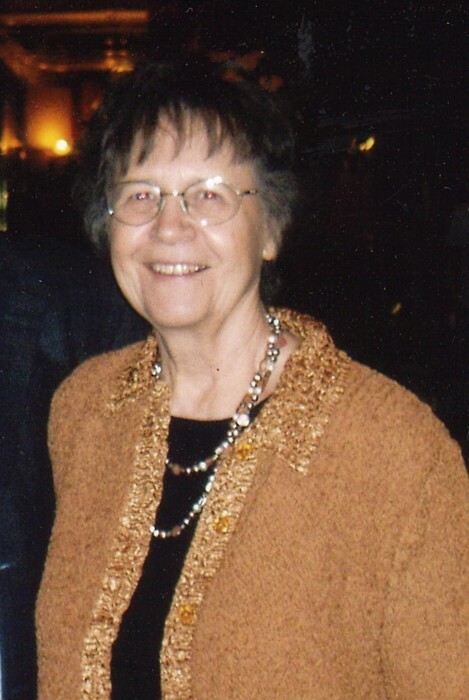 Roberta Marie Atkinson Willhite was born on September 27, 1934 to Clarence and Erma McLaughlin Atkinson at Granada, Colorado and passed away on March 28, 2019 at the age of 84. She was the middle of three sisters, Francis ‘Francie’ being the eldest of the trio and Anita the youngest. Her public-school education began in Crawford, Colorado where she attended until grade three. It was then that a young widowed mother returned to the Holly area with her three little girls to be near her family. Roberta, or ‘Berta’ as she was fondly known, completed her primary education in Holly, Colorado. During high school she participated in many activities of the time and also worked at the Holly Theater. She graduated in 1952 with the distinction of being salutatorian of her class. She was offered full-ride scholarships from two colleges, and a marriage proposal from her beau, Bill Willhite. She chose the proposal and their marriage was a 66-year success. Bill and Roberta were married on June 7, 1952 in Clayton, New Mexico. Their family soon grew to include William Kent, Dale Lee, Jan Marie, and Jerry Dean. The Willhites were always self-employed through farming and ranching endeavors, and Roberta played a sizeable role by assisting with whatever needed to be done. Among other things, she was a truck driver, an errand runner, a paperwork whiz, and a prolific cook who kept the meals coming – for harvest, working cattle, family gatherings, drop-ins, school events, church dinners, family, friends, and friends of friends. She possessed the gift of hospitality and everyone was welcome at Berta’s table at any time. Together, in 1965, Bill and Roberta trusted in Jesus Christ as their Lord and Savior at the Webb School where the American Sunday School Union conducted worship services. From that day forward they followed the teachings and principles from the Word of God. For several years, the family participated in scripture memorization programs available through The Navigators. Having a heart for reaching the lost, Roberta conducted Bible studies with neighborhood children over the years. Each summer she would pick up a carload of kids on the way to Daily Vacation Bible School where she taught classes and helped in various ways. She was also very involved in teaching and helping with area Good News Clubs. When Friendship Bible Coffee groups began to form locally, she soon became an area coordinator. Roberta always had a willingness to serve in the church. Roberta loved to play games and there was always a board game or cards at the ready. She enjoyed teaching the grandchildren how to play all kinds of games, and also hosted card parties or friendly board marbles competitions. She was a prolific poet and prose writer. Some of her work was published nationally and she self-published a book of her selections a few years ago. She enjoyed music and taught herself how to play hymns on the piano. Her family was always of the highest importance to her. Her two sisters and she loved each other and were committed through good and bad times. They enjoyed laughing together and talked frequently by telephone. Their three families were always close-knit and had a lot of fun experiences together. Both her beloved sisters, Francie White and Anita Williams, precede Berta in death. Praying for her large extended family was a commitment she kept until the end, claiming the promises of Isaiah 54:13 as her own, “And all thy children shall be taught of the Lord; and great shall be the peace of thy children”. She is survived by her husband Bill Willhite; children Kent (Marsha) Willhite, Dale (Donetta) Willhite, Jan (Jimmy) Holmes, and Jerry (Erlene) Willhite; brothers-in-law Louie White and Marvin Willhite; grandchildren Doni (Dana) Files, Cari (Earl) Brewer, Lindsay (Tom) Huthoefer, Justin (Kellyn) Willhite, Zoey (Russel) Griffin, Kara (Zach) Davis, Marissa Holmes, Kristen (Patrick) Turner, Josh (Jessica) Willhite, Raquel (Irwann) LeBouquin, Kendrie (Trevor) Gregory, Brycen Willhite, and Shawn Willhite. Her great-grandchildren number twenty-six; one great-great-granddaughter survives. Preceding her in death are her parents, Clarence Atkinson, and Jesse and Erma Craig; her mother-in-law and father-in-law, John and Louise Willhite; her grandson, Jesse Holmes; brother-in-law Terry Williams, and sister-in-law Patricia Willhite. Memorial contributions may be made to Holly Fire and Ambulance, Holly Pride Committee, First Baptist Church, or Lamar Area Hospice in care of Valley Memorial Funeral Chapel, P.O. Box 950, Lamar, Colorado, 81052.